Certified Information System Security Professional (CISSP) is one of the computer industry’s most comprehensive and prestigious certification for assessing and maintaining security IT networking and management skills. Information system security is a unique aspect of business, government, and society today. Professionals who work to protect and secure information systems need a unique set of qualifications, of which technical knowledge is only one component. This course covers security theory and management principles at a high level. The program is taught by top security industry professionals with real world experience and a passion for sharing their experience and knowledge. Although there are no hands-on computer exercises, this course will build a strong conceptual knowledge of security techniques and prepare students for the CISSP certification exam as well as build their skill sets to move forward in real world computing careers. This high level computer security course will teach you to plan, design, administer, and troubleshoot security systems to effectively protect your company’s data in the constantly changing, challenging world of computer networks and information systems. Through eight CISSP modules, including security theory and applications, students will broaden and deepen their knowledge of information systems security. Students are also prepared for the CISSP certification exam. This course is designed for individuals who have Information Systems security background and wish to prepare for skills in the planning, management and/or administration of information security. 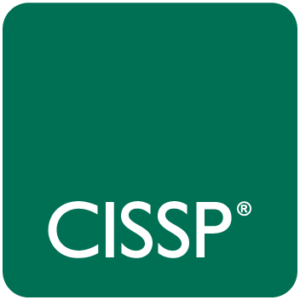 Related experience must include a minimum of at least five years direct full-time security professional work experience in two or more of the eight domains (see course outline below for CISSP knowledge domains).